giftED 2018 will bring together nearly 2,000 educators who share a passion for gifted education! Attendees will have the chance to create vital connections, engage in and lead important conversations, and become empowered to continue to make a difference in the gifted community. This unique experience features over 150 training sessions in 15 strands of designated subjects. 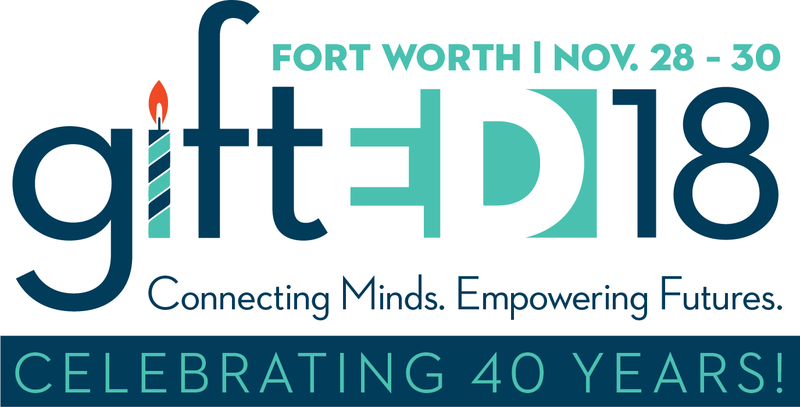 Join us Nov. 28– 30 at the Fort Worth Convention Center and Omni Hotel!